Coral Beach Cabanas - Hibberdene Accommodation. This luxury self-catering apartment has private access directly onto a pristine blue flag beach? You'll never find accommodation closer to a swimming beach on the south coast. The apartment boasts 3 bedrooms & 2 bathrooms (MES), sleeping a maximum of 6 people, each room with built-in cupboards. The main bedroom leads onto a huge patio, allowing for cool evening breezes whilst you sleep. The open plan living area is spacious, cool and inviting and also flows out of the patio where you can enjoy hours of relaxation or watch your kids play in the huge tree on your doorstep or pass through the access gate onto the main beach and watch the dolphins at play in the waves, or enjoy sundowners as the sun bids you farewell for another day. The kitchen is fully equipped, with all crockery and cutlery -we even have plastic for the little ones. All linen is provided. You only need to bring towels and toiletries. The complex is protected by 24-hour security and remote access. There is a covered parking bay, pleasant garden area, and shower at the beach gate to rinse off after a day of fun, sun and sand! 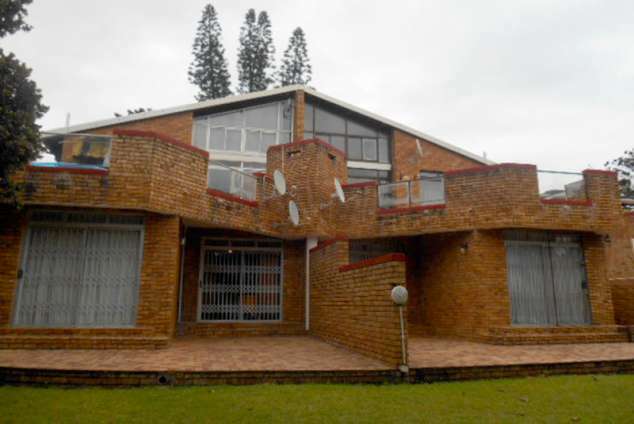 Hibberdene is a popular coastal resort, just 25 kms before Port Shepstone. Hibberdene is famous for the Sardine Run, which starts in late June or July. Its beaches are reputed to be good for shad fishing. bird watching at the Uvongo Bird Park and crocworld just 10kms away. Putt - Putt and Super-Tube at Jolly Roger. Shopping Centre with Pick n Pay, Spar, Butchery, Pep, Bottle store, Pharmacy etc. directly across road. Scottburgh is 20 min north. Margate is 30 min south. Large shopping malls in Port Shepstone and Shelly Beach, with movies, restaurants and shopping, 30 min. Golf and all sports, within 30 min drive, north or south. Crocodile farm at Southbroom, Bird Sanctuary in Uvongo and Oribi Gorge all 30 min drive. The infamous Ramsgate Waffle House is just 30 mins away. Wild Coast Sun Casino Hotel and Ushaka Marine World only an hour away in each direction. So much to do if you want, or just relax and enjoy what Coral Beach and Hibberdene has to offer! From Johannesburg take the N3 towards Durban. Drive approx 90 km then take the Hibberdene off-ramp on your left and keep left. Drive two km then turn right at David Drive. At the T-junction turn left and drive underneath two bridges. one km till you reach Coral beach. 13636 page views since 10 Jun, 2014.